In this paper, a novel parallelized implementation of rotation invariant texture classification using Heterogeneous Computing Platforms like CPU and Graphics Processing Unit (GPU) is proposed. 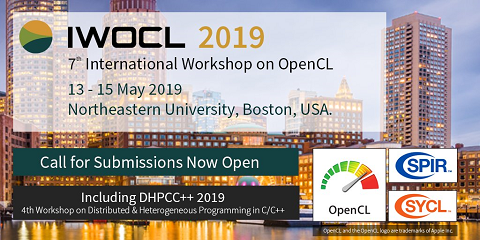 A complete modeling of the LBP operator as well as its improvised versions of Complete Local Binary Patterns (CLBP) and Multi-scale Local Binary Patterns (MLBP) has been developed on a CPU and GPU based Heterogeneous computing platforms using OpenCL. The tests using these feature descriptors of Local Binary Pattern (LBP) algorithms and their parallelized implementation using OpenCL were also performed. Significant Improvement in computation speed is achieved over traditional CPU-based algorithms. To test the accuracy of the GPU implemented algorithms a set of textures were classified using selected LBP, CLBP and MLBP descriptors. Classification was performed by applying these descriptors to several unique texture classes at various spatial resolutions and rotations. The primary focus of this paper is to provide an overview of these algorithms, demonstrate observed performance gains and to verify the validity of using these descriptors for texture analysis on a CPU and GPU based Heterogeneous Platform.